Are you a dairy owner looking to increase the milk production of your cows? 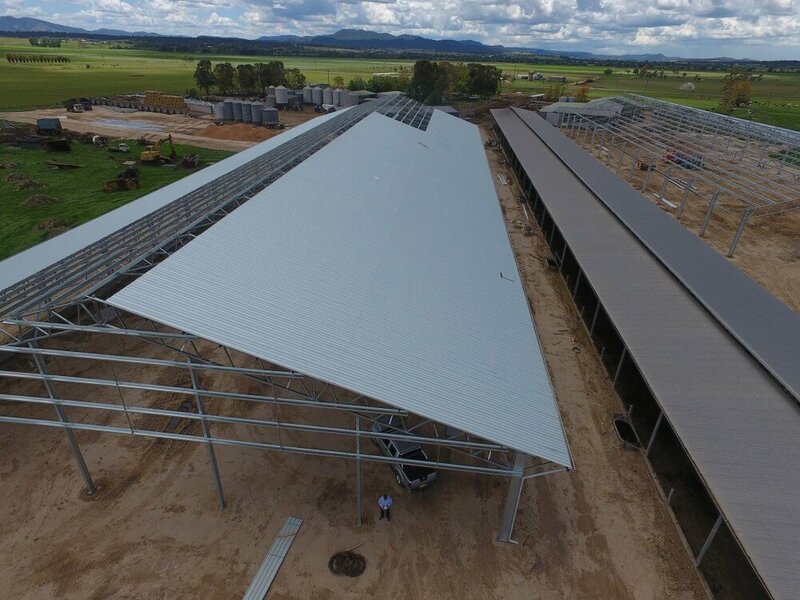 In this case study, our customer came to us with a well-established design brief for this dairy shed. There were numerous challenges unique to this project that were thoroughly considered. Find out how we overcame these challenges and helped the end user gain an estimated 20% increase in milk yield. 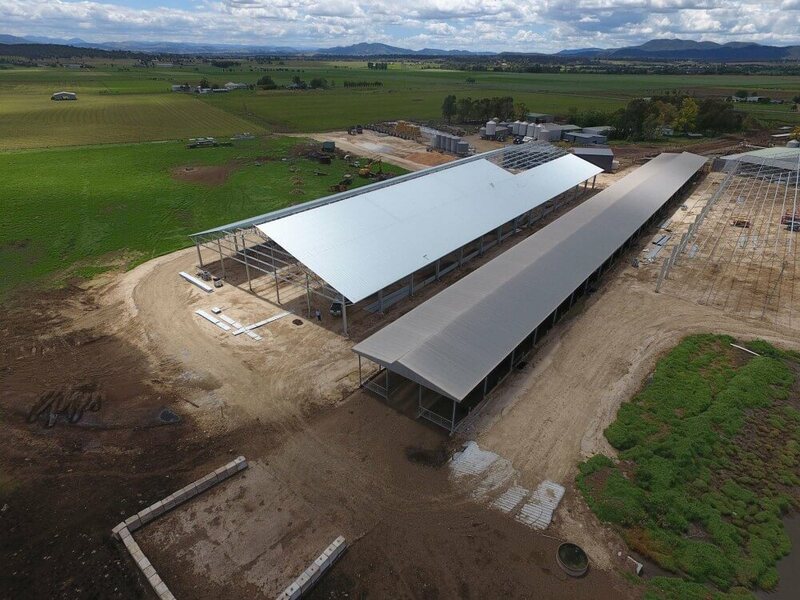 The design brief for this dairy shed was relatively well established when we came into the project. The shape, size, and silhouette had been determined before our involvement. The client had done a lot of personal research and had visited other dairies. They had already decided on the size of the buildings and roof pitch. The purpose of this loafing barn would be to provide an area where they could rest and produce milk in a shady area after they had eaten in a nearby feeding shed. The gains to the end user was an estimated 20% increase in milk yield and improved animal health. An 800mm high concrete wall around the perimeter of the shed. A large 1.2-metre wide ridge vent. A series of very large ceiling fans. 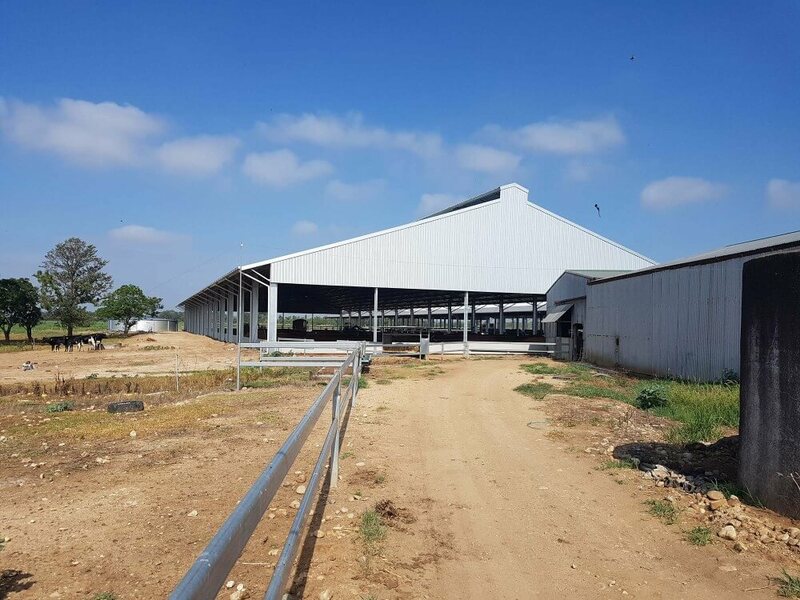 Dairy sheds are notorious for having a corrosive environment due to animal waste. To solve this issue all the columns were hot dipped galvanised to withstand corrosion from a wet and corrosive environment. A large 1.2-metre wide ridge vent to allow the hot air to escape out the ridgeline. 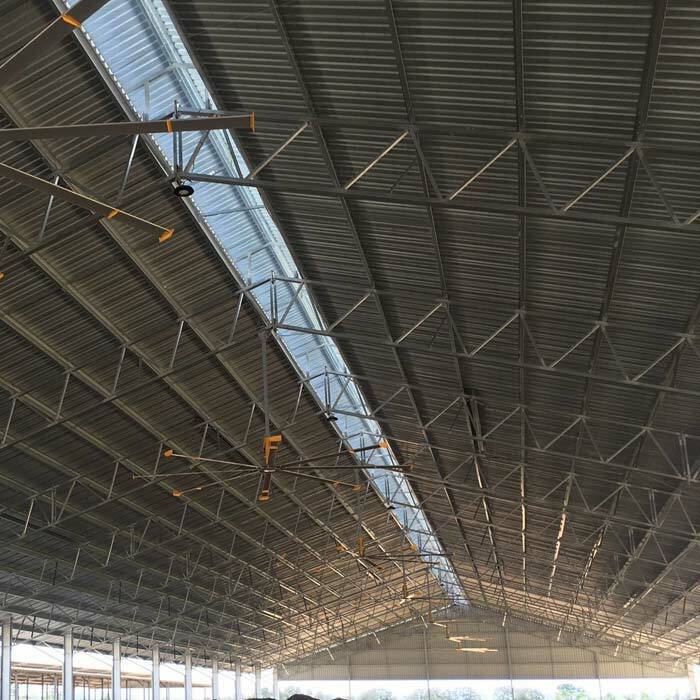 A series of very large fans installed to create further natural ventilation and air movement. 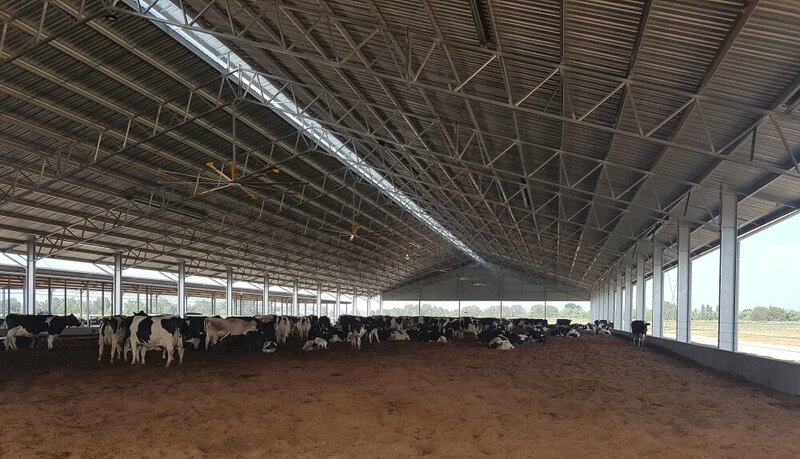 A tilt panel was used to create the required bedding environment for the cows to rest on. An 800mm high concrete panel was attached to the shed columns. This allowed for a 300mm layer of sawdust which the cows would rest on. 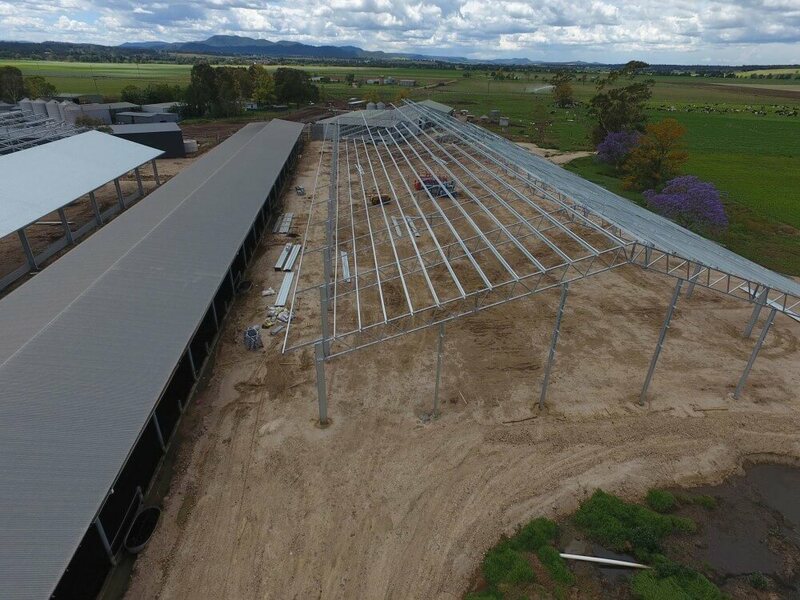 The sheds look great and the cows love them and they are milking very well, and once more we are very happy with the sheds. Thank you. 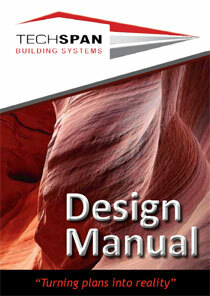 Need help with your shed design? Copyright 2019 by Techspan Building Systems.